Congrats to our newest 52 Weeks/52 Winners Contest Winner David Mullen! Roto Grip Defiant! Written on: Saturday, April 28, 2012. Congrats to our newest 52 Weeks/52 Winners Contest Winner Dennis MacLannan! Roto Grip Defiant! Congrats to our newest 52 Weeks/52 Winners Contest Winner Arnell Ignacio! Brunswick f(P) Pearl! Congrats to our newest 52 Weeks/52 Winners Contest Winner Charles Sweeney! DV8 Hell Raiser Revenge! Congrats to our newest 52 Weeks/52 Winners Contest Winner Douglas Parker! Storm Crossroad! Congrats to our newest 52 Weeks/52 Winners Contest Winner Dennis Shain! Roto Grip Defiant! Written on: Tuesday, January 31, 2012. Congrats to our newest 52 Weeks/52 Winners Contest Winner Colette Imasaki! Brunswick Nexus f(P+F) Solid! Congrats to our newest 52 Weeks/52 Winners Contest Winner Tammy Conner! OTB! Congrats To Our Newest 52 Weeks/52 Winners Contest Winner Robert Miksic! Brunswick Nexus Pearl! Written on: Monday, December 26, 2011. Congrats To Our Newest 52 Weeks/52 Winners Contest Winner Jordan Anderson! OTB Vortex Green! Written on: Monday, December 19, 2011. Congrats To Our Newest 52 Weeks/52 Winners Contest Winner Charles Textor! Roto Grip Shooting Star! Congrats To Our Newest 52 Weeks/52 Winners Contest Winner Jeff Barsaloux! OTB! Written on: Monday, November 28, 2011. Congrats To Our Newest 52 Weeks/52 Winners Contest Winner Tim McCracken! Storm Frantic! Congrats To Our Newest 52 Weeks/52 Winners Contest Winner Bill Brown! OTB! Written on: Tuesday, November 15, 2011. Congrats To Our Newest 52 Weeks/52 Winners Contest Winner Tim Rauch! DV8 Hell Raiser! Congrats To Our Newest 52 Weeks/52 Winners Contest Winner Gary Stroup! OTB American Eagle! Congrats To Our Newest 52 Weeks/52 Winners Contest Winner Ruth Drausin! OTB Savage Monsters Eyeball! Written on: Tuesday, October 11, 2011. Written on: Monday, October 10, 2011. Written on: Monday, September 26, 2011. Congrats To Our Newest 52 Weeks/52 Winners Contest Winner Lee Schoenfeld! Roto Grip Critical Theory! Written on: Tuesday, September 20, 2011. Written on: Monday, September 12, 2011. Congrats To Our Newest 52 Weeks/52 Winners Contest Winner Eric Kiefer! OTB MLB New York Yankees! Congrats To Our Newest 52 Weeks/52 Winners Contest Winner Ryan Hoyle! Written on: Tuesday, August 30, 2011. Congrats To Our Newest 52 Weeks/52 Winners Contest Winner Chris Parker! Brunswick C.(System) ulti-max! Congrats To Our Newest 52 Weeks/52 Winners Contest Winner Daniel Liv! OTB! Congrats To Our Newest 52 Weeks/52 Winners Contest Winner Richard Walls! OTB! Congrats To Our Week 49 Contest Winner Pamela Robinson! Brunswick Loaded Revolver! 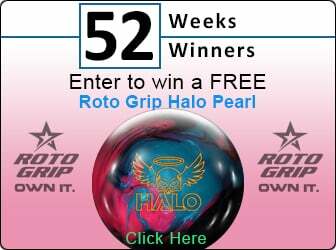 Congrats To Our Week 48 Bowling Ball Giveaway Winner Alan Wallat! OTB Houk Infinity! Congrats To Our Week 47 Contest Winner Connie McMillan! Roto Grip Theory! Written on: Tuesday, June 28, 2011. Congrats To Our Week 46 Bowling Ball Giveaway Winner Roy Ruiz! OTB Taurus! Written on: Monday, June 20, 2011. Congrats To Our Week 45 Contest Winner Richard Burright! Brunswick Loaded Revolver! Congrats To Our Week 44 Bowling Ball Giveaway Winner Donna Cagle! OTB NCAA Tennessee Volunteers! Congrats To Our Week 43 Contest Winner David Shitabata! Brunswick Loaded Revolver! Written on: Monday, May 30, 2011. Congrats To Our Week 42 Winner Kristina Naylon! Roto Grip Infinite Theory! Congrats To Our Week 41 Bowling Ball Giveaway Winner Robert Rascoe! OTB Aida Sofia Cute Girl! Congratulations To Our Week 40 Bowling Ball Giveaway Winner David Carter! OTB NCAA Georgia Tech Yellow Jackets! Congrats To Our March Bowling Ball Giveaway Winners! Written on: Thursday, April 14, 2011. Congrats To Our February Bowling Ball Giveaway Winners! Congrats To Our January Contest Winners! Congrats To Our December Bowling Ball Giveaway Winners! Congrats To Our November Bowling Ball Giveaway Winners! Written on: Tuesday, November 30, 2010. Congrats To Our October Bowling Ball Giveaway Winners! Written on: Sunday, October 31, 2010. The Newest Bowling Ball Giveaway Winners Are In! Congratulations To Our New Bowling Ball Giveaway Winners! Congrats To Our Newest Bowling Ball Contest Winners! Written on: Wednesday, September 08, 2010. A New Year of Free Bowling Balls! Here Are Our New Winners! Written on: Wednesday, August 25, 2010. Congrats To Our Week 52 OTB Contest Winner Josh Delaney! Congrats To Our Week 51 OTB Contest Winner Karen Leong! OTB Crystal Ball! Congrats To Our Week 46 OTB Contest Winner Sharon Ryan! OTB Vortex Grey! Congrats To Our Week 48 OTB Contest Winner Anthony Ascencio! OTB NFL Pittsburgh Steelers Super Bowl XLIII! Congrats To Our Week 49 & 50 OTB Contest Winners! Congrats To Our Week 43 & 44 OTB Contest Winners! Written on: Thursday, June 24, 2010. Congrats To Our Week 45 OTB Contest Winner Audrey Dunayer! OTB MLB Philadelphia Phillies 2008 World Champions! A Big Thanks From Our Week 42 OTB Contest Winner Larry Eakin! OTB Air Force! A Touching Story From Our Week 41 OTB Contest Winner Tom Kruel! Written on: Wednesday, May 19, 2010. Congrats To Our Week 39 & 40 OTB Contest Winners! Written on: Monday, May 10, 2010. Congrats To Our Week 37 OTB Contest Winner Clint Eastman! OTB MLB Milwaukee Brewers! Written on: Sunday, May 09, 2010. Congrats To Our Week 35 OTB Contest Winner Kenneth McDonald! OTB Air Force! Written on: Wednesday, May 05, 2010. Congrats To Our Week 33 OTB Contest Winner Michael Mendoza! OTB bowlingball.com Exclusive Logo Ball! Written on: Friday, April 02, 2010. Congrats To Our Week 31 & 32 OTB Contest Winners! Written on: Wednesday, March 03, 2010. Congrats To Our Week 30 OTB Contest Winner Tynyea Wilson! OTB Barack Obama / Martin Luther King Jr.! Congratulations To Our Week 28 OTB Contest Winner Don Petty! OTB Who Are You? Congrats To Our Week 27 OTB Contest Winner James Green! OTB NCAA Kentucky Wildcats! Written on: Thursday, January 28, 2010. Written on: Monday, January 18, 2010. Congrats To Our Week 22 & 23 OTB Contest Winners! Congrats To Our Week 19 OTB Contest Winner Keith M. Johnson! OTB NCAA BYU Cougars! Written on: Friday, December 11, 2009. Written on: Saturday, December 05, 2009. Congrats To Our Week 15 Contest Winner Cynthia D! OTB NCAA Florida Gators! Written on: Wednesday, November 11, 2009. Congratulations Dylan Beekman, Our Week 11 Contest Winner! OTB Ironman! Written on: Thursday, October 22, 2009. Congratulations To Keith Wilkins, Our Week 10 Contest Winner! OTB Plasma! Congratulations To Tyler Kersten, Our Week 9 Contest Winner! OTB MLB Los Angeles Angels of Anaheim! Written on: Saturday, October 10, 2009. Congratulations To Kenneth Yeung, Our Week 7 Contest Winner! OTB! Congrats To Our Week 6 OTB Contest Winner Glen C! OTB! Written on: Tuesday, September 15, 2009. Congrats To Our Week 5 OTB Contest Winner Mel W! Congratulations To This Week's OTB Contest Winner Michael G! Written on: Thursday, September 03, 2009. Written on: Tuesday, August 25, 2009. This Week's OTB Contest Winner is Sherri McNeill! Congrats To Our First OTB Contest Winner David Allen! Written on: Tuesday, August 18, 2009.